So what do you do when you get to know that there’s a screening of Libaas? Well, only a Gulzar fan can tell you the right answer. So over to Mohit Kataria who tells us what exactly he did. Please don’t read this post as a film review post, it’s all about my personal experience with the movie Libaas and the way I got to watch it. I’ve never written any movie review before and I don’t think I even qualify for writing one (if there is any qualification criteria). You might also find it really biased as I’m a fan of Gulzar Saab and always wear a particular pair of admiration glasses while reading/watching/listening to any of his works. What do you do when you get any once-in-a-lifetime opportunity? You grab it with both the hands, right? That’s what I also did. It all started with a Facebook post from a very dear friend and an ardent fan of Gulzar saab, Pavan Jha, that I came to know about Libaas getting screened in IFFI – 2014 in Goa on 22nd Of November. Then after a number of confusions, calculations and discussions later, I decided to go ahead and started making my travel plans. Then, I came to know about something called a delegate registration (I have already warned you about my credentials ), which was already into its “register-with-late-fee-phase”. Somehow got registered with some made up bio-data to prove that I was worthy enough to be a delegate there. I got an email mentioning that the confirmation will be done after some careful review of my bio-data. I waited impatiently for the whole day which was the last day for the registration, and by the end of the day, I got a confirmation mail asking me to pay to be a delegate. I followed the instructions and completed the formalities. Then it was time to book the tickets for travel. After doing some calculations, considering family, work, economics and time dynamics, I booked the flight from Bangalore, scheduled to reach Goa at 2 PM on the day of screening (22-Nov-14) (Libaas was scheduled for screening at 5:30 PM) and also booked first available flight from Goa the very next day (23-Nov-14). Needless to say, my only purpose of going through all this exercise was to witness something I really was waiting for ever since I started following and loving Gulzar Saab and his work – to get a chance to watch Libaas. And I never thought I would get an opportunity of a lifetime in this manner, to watch it with Gulzar Saab himself. Before cutting through all the details of getting the passes (where Ashok Bindalji and IFFI organizers helped a lot), reaching the theater following Gulzar Saab, and finally settling down to watch Libaas, I would like to mention here that there were lots of people who wanted to get in and watch Libaas and the auditorium had a limited capacity of accommodating 280 people only. So one senior IFFI organizer (I won’t name him to get him into any trouble), took a call after consulting with Gulzar Saab and Vishal Bhardwaj, to allow people to sit in the gallery, on the floor, to stand on the gates, behind the last row and any other place wherever possible without making others uncomfortable. It got reminded me of the pre-multiplex era when it was a norm for any big movie. Isn’t it delightful to treat and watch the movie in the same manner we used to watch movies when it was actually made (in 1988)? The stage was set by welcoming Gulzar Saab by the IFFI authorities, and then Vishal Bhardwaj presented the movie Libaas as the inauguration movie of retrospective: Gulzar. Vishal said that it’s an honor for him to present this movie, and spoke about how Gulzar Saab started his career as a poet and brought his poetry from paper to screen. Each of his movies are poetries on screen. He also briefly mentioned about the efforts at various levels that have gone in trying to get the movie released, including his personal efforts of 20 years which has gone in vain. Then he mentioned what it means to him personally, and for his whole family to be part of this historic event. Gulzar Saab was visibly holding back his emotions, and he started on a lighter note saying, saying, “दोस्तो, मैं भी उतना ही curious हूँ फ़िल्म के लिए, जितने कि आप हैं. आप ने भी नहीं देखी फ़िल्म, मैंने भी नहीं देखी”, which rightly summed up the significance of the film. He was happy that the family and friends have come from all over to see this screening. You can listen to the whole discussion here. And then the magic started on screen. We were in for a very delightful treat for next couple of hours. As you might know, the movie was completely based on Gulzar Saab’s own story Chaabiyaan which has also published later with the title Seema. There was wit, brilliance, intelligence and emotions written all over the movie. Each frame was flowing into the other one like the way water flows – at times like a river, sometimes like a silent lake and often like waterfall. It was a sheer pleasure to experience Gulzar Saab’s poetry for the next 137 minutes. 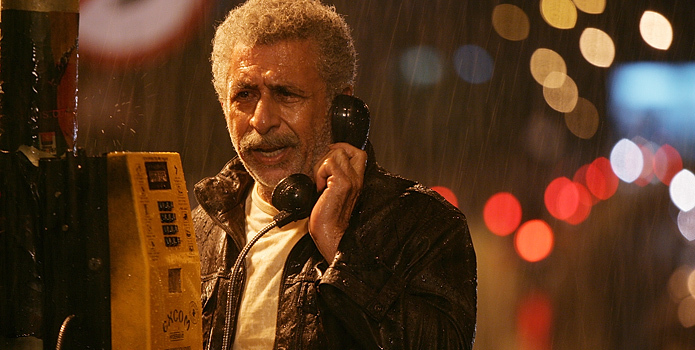 The movie has four main characters – Sudhir Bhardwaj (a passionate theater director, played by Naseeruddin Shah), T.K. (a flamboyant businessman, played by Raj Babbar), Seema (an amazing actress who is also a not-so-happy wife, played by Shabana Azmi) and the theater which is the sutradhar which keeps tying all the running threads of the movie. It also has a handful of supporting cast who made their presence felt without shadowing the main leads. Not even a single character was out of place or not required. The story primarily deals with husband-wife relationship and a extra-marital affair, all in the backdrop of theater. While watching it, I could feel it was much ahead of its time (it was scheduled to be released in 1988), as was confirmed by Gulzar Saab in a post screening Q&A session that such things were happening at that time but were never shown in cinema. He dared to reflect what was part of society then. 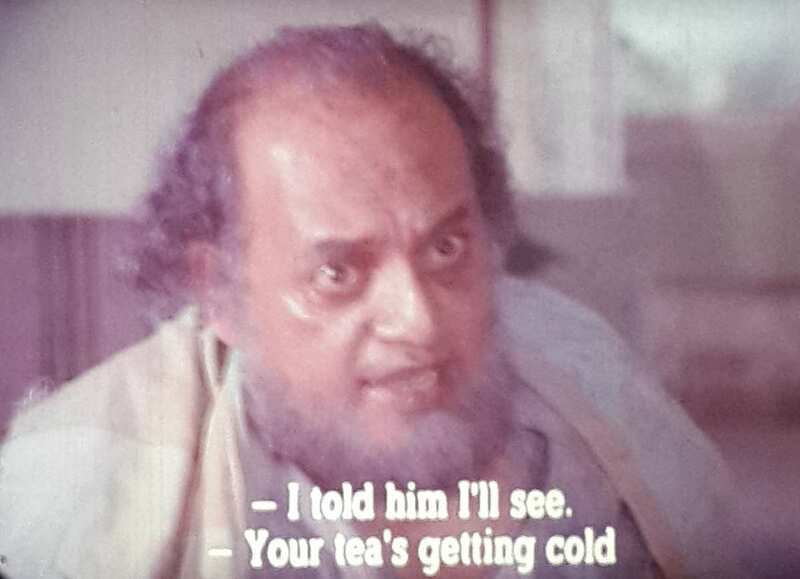 Opening scene of the movie is in a theater, where Jamal Saheb (played by Utpal Dutt) is entering the theater while taking a look at the play being staged. Seema is already strained, and wants a break from the monotony of Sudhir being so hard on her as he always thinking about one thing – theater. That’s when T.K. enters the scene and their home. He is informal and is such a close friend of Sudhir that even Seema feelss surprised as she had never seen Sudhir being so comfortable with anyone, including her. TK’s flamboyant style of talking and cheerful behavior attracts Seema, and he gets attracted to her beauty. They all meet a couple of times and then while one relationship starts forming, other one starts breaking. On one side, Sudhir is always busy with his play rehearsals and on the other hand, T.K., a well versed businessman is always ready to meet her and pay attention to her. Her loneliness and boredom from theater adds fire to the fuel, and before even they realize, the relationship becomes complicated. The high-point of the movie is a scene which has brilliance of Gulzar Saab written all over it. It was Gulzar Saab’s craftsmanship that he handled such a burdened situation in such a subtle manner. The treatment of the characters, the dialogues of this one scene leaves us completely mesmerized and catches us unguarded. The scene is when Sudhir decides to confront T.K. and Seema about their relationship. Seema and T.K. enter the house after spending some good time together, and they find Sudhir at home. T.K. tries to cover up his embarrassment by telling Sudhir that he was asking about him from Seema as Sudhir was very busy, they were not able to meet. T.K. – और किस ड्रामे में busy हो आजकल? T.K., though embarrassed, is still trying to appear innocent even though he is guilty of cheating Sudhir. He looks at Seema and starts building the story. And that’s when Gulzar Saab’s intelligence of handling the complicated situations comes in full form. At this time T.K. tries to escape saying this is personal matter between husband and wife and he is an outsider. Even after Sudhir and Seema get separated and she remarries T.K., there is still an element of care and affection for each other. T.K. and Seema are living happily, yet Seema is not able to forget her past so easily. …Leaving everyone in the theater completely spell bound. Gulzar Saab got a standing ovation which refused to die down for the next few minutes. It had Gulzar written all over it. Gulzar the writer, Gulzar the dialogue-writer, Gulzar the lyricist and Gulzar the director. It was like various Gulzar competing with each other and attaining the pinnacle of expressions. The music of R.D. 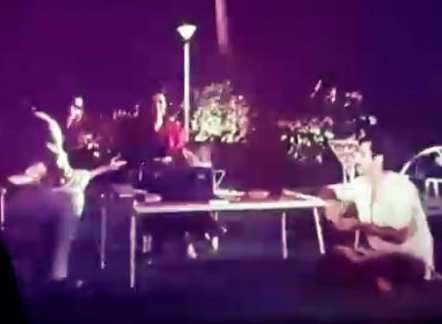 Burman was also a highlight of the movie as the melodies are so soulful, the film would have been definitely incomplete without such lovely songs. From story perspective, it is really difficult to say what was wrong or who was wrong or whether anyone was wrong at all? This is the power of a sensibly told story on screen. We all know that Gulzar Saab has great sense of expression when it comes to relationships. He is the one who has given the words to all the emotions we have gone through at various points in our different relationships. He is no different here as well. Gulzar Saab has also given various references of past work of theater artists who have explored the complexities of husband-wife relations – Leo Tostoy’s Anna Karenina, Vijay Tendulkar’s Khamosh adaalat jari hai, Mohan Rakesh’s Aadhe-adhure. The film, even though made some 26 years back, is still relevant and I believe due to the nature of human relationships, will be relevant even after 26 years. There are so many situations in the movie which could have been exploited with melodramatic scenes but he kept them subtle, and trusted the intelligence of audience he was catering to. Like after re-marriage, one day when T.K. is gargling in the morning, all of a sudden she gets reminded of Sudhir, who was always after her for gargling. She gets in that groove for a moment that she actually calls out her old maid’s name “दुर्गा…” and then she realizes her mistake. And when she calls up their family doctor (played by A.K. Hangal) asking him to visit their home for T.K.’s cough and cold, she forgets to mention to the doctor about his new life and husband. The doctor habitually visits their old home and because Sudhir is also suffering from the cough at the same time, he doesn’t find it surprising that Seema called him up. Subtle ways to show that the bridges are not yet burnt completely. The central idea of the story keeps coming back again and again in multiple ways. During the post-screening Q&A we came to know that the climax which was shown in the film was not his choice but the producers insisted upon him to change the climax. He wanted to leave it a bit open ended, which he couldn’t do in this movie, hence he made Ijaazat, another masterpiece on husband-wife relationship which he ended the way he wanted it to be. Nobody dared to ask the question, “अगर लिबास release हो जाती फिर भी क्या वो इजाज़त बनाते?” and I doubt if anyone who has watched Ijaazat would even dare to think it being non-existent from the filmology of Gulzar Saab. Nothing to compare but to give a flavor to the people who could not watch the screening of Libaas, in my opinion, it was at par (if not more) with Ijaazat in terms of exploration of relationships, writing, dialogues, songs, direction and music. To sum it up, I would just say, no matter how many years the movie has spent in the laundry or dry-clean, this Libaas is still as crisp, clean and white as new. 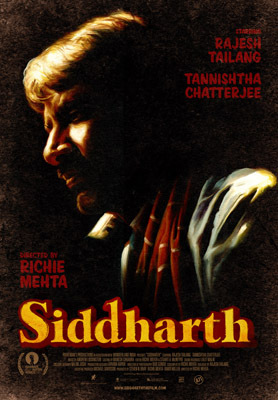 The first look of Richie Mehta’s new film, Siddharth, is out. The film will have its premiere at the 10th edition of Venice Days Program of the Biennale. Venice Days is a separate festival within the Venice Fest and it runs during the entire duration of the main fest (August 28-Sept. 7). Its lineup includes 12 feature films, two shorts, three special events and two special screenings. Production: Poor Man’s Productions Ltd.
Mahendra works on street corners as a chain-wallah (a zipper-fixer), while his wife Suman stays at home with their two young children, twelve-year-old Siddharth and his sister. To contribute to the family budget, the boy is sent far away from home, from New Dehli to Ludhiana, where a relative has a job for him and a place to sleep. It seems like a dream come true to his father, until he realises that his son has vanished into thin air: kidnapped, perhaps, or dead. Mahendra learns how confusing the world beyond his front door really is, but that doesn´t stop him from stubbornly seeking Siddharth all over India, its cities and countryside combined. Co-written by its star and the director (who now lives in Canada), the film builds on the emotions of one man´s painful awakening, and shows a different, almost neorealist India, described with that ingredient of universal humanity that is Italian film´s gift to the world. UPDATE (3rd September, 2011) : The trailer has been removed because it’s not the final one. The trailer of Ribhu Dasgupta’s debut film Michael is out. Its produced by Anurag Kashyap and Studio18. The principal cast includes Naseeruddin Shah, Mahie Gill, Purav Bhandare, Sabyasachi Chakraborty and Irawati Harshe. Other credits include Screenplay : Debaloy Bhattacharya and Nilendu Guha, Cinematographer : Somak Mukherjee, Editor : Lionel Fernandez, Sound : Kunal Sharma, and Music : Vinayak Netke, Aatur Soni, B. Gauri (lyrics). Trishna and Michael, both the films will have its world premiere at the Toronto International Film Festival. Michael Winterbottom’s latest film Trishna is not only set in India but it was more than one desi connect. The film’s trailer is out and according to official release, it’s an adaptation of Thomas Hardy’s Tess of the D’Urbervilles set against a contemporary Indian backdrop. Freida Pinto stars as the titular Trishna, a young woman who is seduced by the wealthy son(Riz Ahmed) of a property developer. As the romance develops, their relationship also becomes increasingly sordid and volatile. Click on the play button to check out the trailer. what a smooth and soothing track! Wow, Amit Trivedi, scores again? Seems so, at least from the trailer. Michael is the latest production of Anurag Kashyap films. 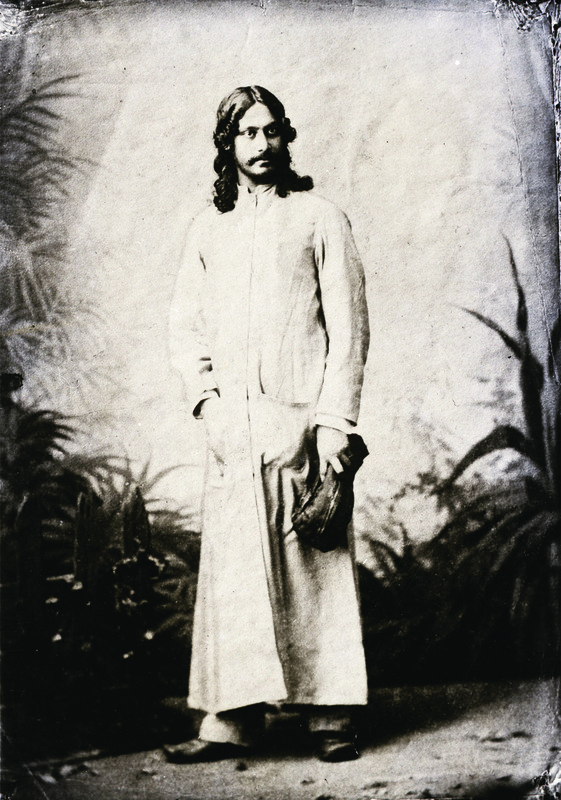 Directed by debutant Ribhu Dasgupta, the film’s trailer or poster is not out yet. But you can check out some of the stills. It stars Naseeruddin Shah, Mahie Gill, Purav Bhandare, Sabyasachi Chakraborty and Irawati Harshe. According to official release, it’s a character-driven psychological drama. Using intricate camerawork and intimate point of view shooting, Dasgupta tracks one man’s physical and psychological deterioration in the rainy, traffic-filled streets of Kolkata. Check out the stills. Toronto International Film Festival has announced its international line-up for this year’s fest. So far four Indian films are in the list. Mausam is a story of timeless love in the face of political hostilities and religious conflict, between a proud Punjabi Air Force Officer and an innocent Kashmiri refugee. Set against a landscape that transcends decades and spans continents, Mausam is a classic journey that transports one into a world of indestructible bonds of love enveloped by the roulette of destiny. 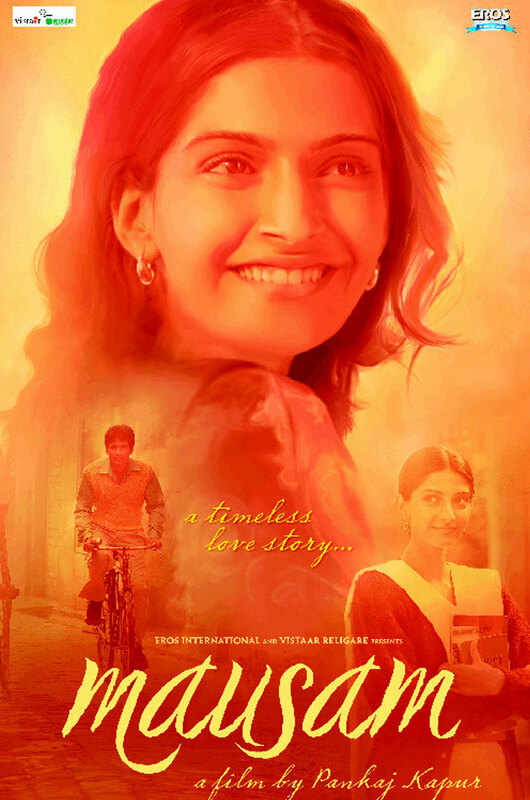 Starring Shahid Kapur, Sonam A Kapoor and Anupam Kher. Michael, an ex-cop, lives with his 11-year-old son and works in a theatre as a projectionist pirating DVDs for a living. When he starts receiving death threats for his son from someone in his past, he gets caught up in a complex web of his own impending blindness comprised of his insecurities. First-time director Ribhu Dasgupta teams up with India’s guru of independent cinema, producer Anurag Kashyap, and veteran actor Naseeruddin Shah for this character-driven, psychological drama. In a small Tamil village, a ceremonial wooden-horse statue goes missing. With a crucial holy symbol suddenly gone, the village falls into recriminations and comic chaos. At the same time, Azhagarsami, a young man who earns his livelihood by ferrying loads on his horse, puts his marriage on hold when his horse also disappears. Rahul, a Bengali architect who had gone off to build a career in Dubai, returns to Kolkata to launch a huge construction site. He is reunited with his girlfriend, Paoli, who had long awaited his homecoming. Together, they try to find Rahuls brother, who is said to have gone mad, living in the forest and sleeping in the trees. Despite appearances, the two brothers might have a lot in common. An Indo-France co-production, Chhatrak (Mushrooms) directed by Sri Lankan filmmaker Vimukthi Jayasundara was also part of the official lineup of Cannes Directors Fortnight. His debut film The Forsaken Land had won the Camera d’Or for best debut feature at Cannes in 2005. Another film with an Indian connect at TIFF is Michael Winterbottom’s Trishna. Starring Freida Pinto and Riz Ahmed, and based on Thomas Hardy‟s novel Tess of the d‟Urbervilles, the film is set in contemporary India and tells the tragic love story between the son of a wealthy property developer and the daughter of a rickshaw driver.